You've heard of watersheds, this project is about sewersheds. The sewer system impacts flooding in Red Hook both in terms of overflows coming up into the street from storm drains and backing up into buildings via their sewer lines. 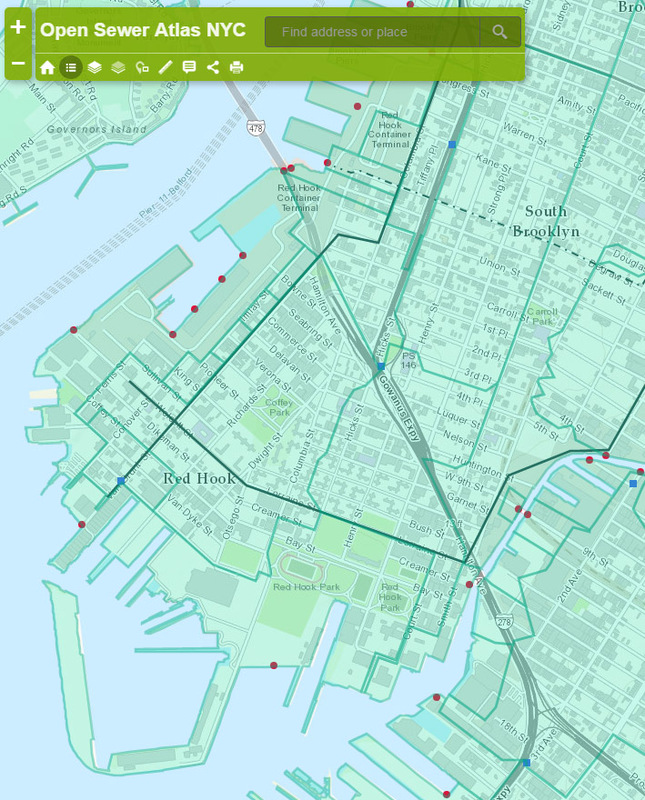 The watershed/sewershed for Gowanus impacts Red Hook. From their website "Open Sewer Atlas NYC is a unique community planning project with the goal of creating transparency into the confusing world of New York City’s sewer system."